If you're dying to see the first trailer for The Hunger Games: Mockingjay – Part 1, you need to find yourself a Samsung Galaxy Tab S.
Samsung and Lionsgate announced today that the first trailer for the upcoming The Hunger Games: Mockingjay – Part 1 will debut at San Diego Comic-Con courtesy of Samsung, and only on its Galaxy Tab S. The event will take place on Friday July 25, but if you aren't there, fear not as you will have options. On the following day, July 26, you can head to Samsung Experience Shops at Best Buy and check out the trailer on Galaxy Tab S models. Those that choose this method, while supplies last, will also receive a ticket to see the movie when it's released. 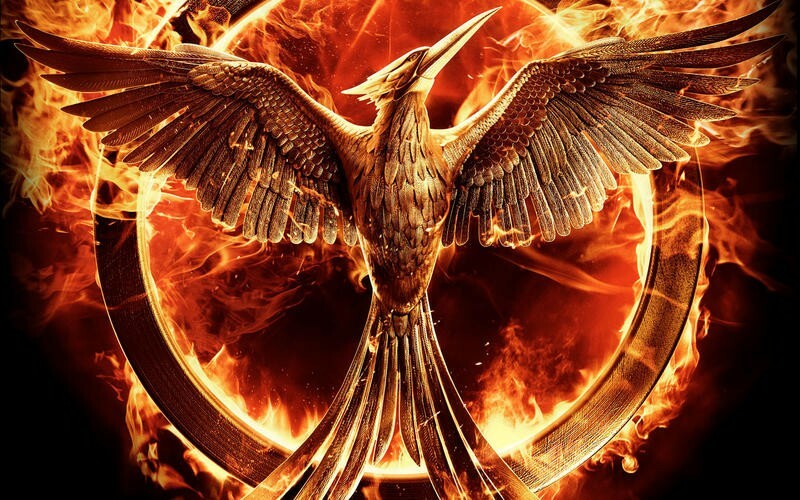 All of this is leading up to the online debut of The Hunger Games: Mockingjay – Part 1 trailer, but no time frame was given for when that would happen exactly. As the promotion with Best Buy ends on July 27, we would guess that Monday the 28th is when it will appear. This is definitely a new way of debuting a trailer. Is it a wise one? More than likely as these are films and books with die-hard fans and Samsung knows people will want to see it. What better way to expose your latest tablets to a passionate crowd. SANTA MONICA, Calif. and DALLAS, July 18, 2014 — Lionsgate (NYSE: LGF), a premier next generation global content leader, and Samsung Telecommunications America, LLC (Samsung), have teamed up on the next installment of the global blockbuster Hunger Games franchise, The Hunger Games: Mockingjay – Part 1. The collaboration will launch with all fans getting a sneak peek of the film's first official teaser trailer, The Hunger Games: Mockingjay – Part 1, exclusively on Samsung's new Galaxy Tab® S ahead of its online release. In a first-of-its-kind experience, fans will have the opportunity to preview the highly-anticipated The Hunger Games: Mockingjay – Part 1 trailer on the Galaxy Tab S at an exclusive premiere in San Diego during Comic-Con on Friday, July 25. For those outside San Diego, beginning Saturday, July 26, fans can visit participating Samsung Experience Shops within Best Buy locations nationwide throughout the weekend to preview the trailer. Samsung will also provide visitors that view the trailer at Samsung Experience Shops one complimentary ticket to see The Hunger Games: Mockingjay – Part 1 when it opens in theaters worldwide on November 21, while supplies last. Additionally, owners of select Galaxy devices* will have the opportunity to download the all-new Hunger Games Movie Pack App, via Google Play™ for access to exclusive content from The Hunger Games franchise. "We're giving our consumers the unique experience to premiere the official trailer of The Hunger Games: Mockingjay – Part I on our new Galaxy Tab S," said Todd Pendleton, Chief Marketing Officer, Samsung Telecommunications America. "Together with Lionsgate, we will give Samsung Galaxy owners access to experience The Hunger Games franchise like never before." "We're thrilled to be partnering on Mockingjay 1 with a company that has the global stature of Samsung and whose innovative technologies touch every aspect of consumers' lives around the world," said Paula Kupfer, SVP of Consumer Products & Licensing at Lionsgate. "They are a perfect fit with our franchise, and together we envision unlimited opportunities for expanding the world of The Hunger Games in exciting and visionary ways." On Friday, July 25 at 12:00pm PT, cast members from The Hunger Games: Mockingjay – Part 1 will introduce the trailer on the Galaxy Tab S in the Capitol Gallery located in the Samsung Galaxy Experience in San Diego (in the Hard Rock Hotel, corner of 5th and L Streets). Fans outside the San Diego area can also get an exclusive preview of the first official The Hunger Games: Mockingjay – Part 1 trailer beginning on Saturday, July 26 and extending through Sunday, July 27 by visiting Samsung Experience Shops inside select Best Buy locations. While supplies last, visitors will receive one complimentary pass to see The Hunger Games: Mockingjay – Part 1 when it opens in theaters November 21. As part of the collaboration, The Hunger Games Movie Pack App will be available to download for free on select Samsung devices* beginning July 28, via Google Play. The app will give Galaxy owners access to exclusive Hunger Games content, including scripts, book excerpts, video clips and more. Samsung, Galaxy, Galaxy S, and Galaxy Tab are all registered trademarks of Samsung Electronics Co., Ltd.
*The Hunger Games Movie Pack App will be available to download for free on the Galaxy Tab S, Galaxy Note Pro, Galaxy Tab Pro, Galaxy Note 3, Galaxy S5 and Galaxy S4 starting July 28. *Limit to 200,000 downloads per movie. Available through December 31, 2014.